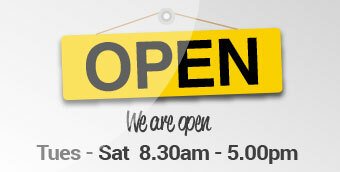 Best Friends is your first choice in Dog Grooming in Cheshire, and Dog Grooming Training Courses'. Whether you are looking for a reputable dog groomer or want to learn about dog grooming as a hobby or a career, Best Friends Dog Grooming can provide exactly what you need. Best Friends has been established for over 7 years and is owned and run by Joan Christie. Joan is a self- taught groomer and her love of grooming began 15 years ago when she was unable to find a groomer to trim her 2 young Westies (Charlie & Sammy) to breed standard. After several unsuccessful trips to the groomer she decided to groom them herself. She was taught the art of hand stripping by a highly reputable and respected breeder and show person of West Highland White Terriers. She then went on to gain her Professional Dog Grooming Qualifications. Joan's professional dog grooming career began in 2007 grooming small to medium dogs from a converted shed in her garden on a one-to-one basis. Due to demand she decided to expand her business, and In August 2010 moved from home into a shop in her local town. She now has a thriving business which includes dog grooming plus a training academy. She says dog grooming is more of a way of life than a job, one she loves with a passion, and she wouldn't want to do anything else. 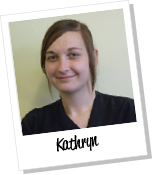 Kathryn first came to Best Friends in June 2012 on a work experience placement whilst studying Advanced Techniques in Dog Grooming at St. Helens College. She fitted in so well with the team and had great potential, so when her course finished in August 2012 she was invited, and joined Best Friends as a bather/dog grooming assistant. Since then, she has successfully progressed to the role of a stylist. Her handling skills are superb with the dogs, and her grooms are always to a high standard, as is expected at Best Friends. She is passionate about her career and strives to attend as many dog grooming events, seminars and workshops as she can. She is currently working towards her City & Guilds Level 3 Qualification in Dog Grooming. 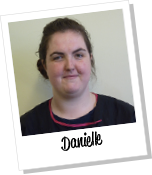 Danielle joined the team at Best Friends in February 2013 as a bather/dog grooming assistant. Under Joan's professional training and guidance it didn't take her long to become very proficient in using the correct handling skills and procedures of prepping, bathing and drying dogs of a wide variety breeds. Her passion for grooming and determination to gain more experience ensured her successful progression to stylist. With her expert handling skills with the dogs, and her consistency of high quality of grooms she produces, she is a valued member of the team. She is currently working towards her City & Guilds Level 3 Qualification in Dog Grooming. She is very keen to continue with her continuing professional education and attends as many grooming events, seminars and workshops as she can. In the ever-changing dog grooming profession, it's essential to keep up-to-date with the latest grooming styles and equipment. One of the ways we achieve this is by attending as many grooming events and workshops that our busy schedule allows. We also attend Crufts every year; it's a great way to watch and learn about different breeds, and ask exhibitors about their grooming techniques and styles. We can then adapt or use their expert advice when grooming in the salon. "After being put in touch with Joan, we will not be looking back! We had used 2 or 3 groomers before Joan and not 1 was able to do anything with her. My little Westie is a handful, she's been boss for too long and she knows it! Joan is excellent, she has without any doubt the right attitude, and is so in tune with Westies and those alike, we would never dream of letting any body else near her, as they frightened her, Joan is highly recommended 100%"